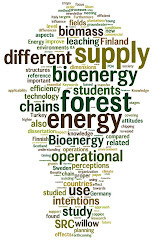 Hot on the heels of recent announcements of institutions seeking funds for investing in biomass projects in the UK there have been reports in the past few days that there is insufficient biomass supplies or infrastructure to meet this potential demand. Some energy companies are taking the line of buying forests to meet this demand / guarantee their supply (link). Another article today about lack of resources, this one quotes Forestry Commission "According to the Forestry Commission, the growing number of planned biomass-powered plants in the UK will surge timber imports by 150 per cent, from 20 million tonnes this year to 50 million by 2015." Additionally thhe article briefly mentions potential impact on consumers of wood products (increased costs as a result of increased competition for wood products).